Two men stole money from a Daventry shop after threatening staff with a screwdriver. 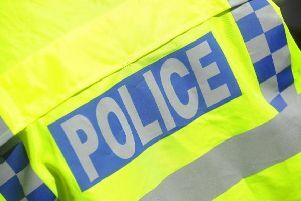 The robbery happened at the Tesco Express in Ashby Fields shortly before 6am yesterday (Sunday, September 30), when the men forced their way in through the front door. A Northamptonshire Police spokeswoman said: "The suspects are described as white men wearing dark-coloured tracksuits. "Their heads were covered with either jacket hoods or a hat and their faces were covered with a scarf or similar item." The men threatened two members of staff with a screwdriver and made off with a quantity of cash from the tills. Officers are appealing for witnesses and anyone with information is asked to contact Northamptonshire Police on 101.